The first time I visited a Yatai in Fukuoka, I ate some truly delicious Mentaiko Tamago-Yaki whilst I chatted to a Japanese man who proceeded to tell me all of the reasons why Sasebo was the greatest city in Japan. The next time I went, I had the richest tasting Tonkotsu Ramen I have ever eaten whilst a lady drilled me with questions about the UK and, in particular, the city of York. Having never been to York it was a mildly awkward conversation but this is the essence of Yatai; the chance to eat new foods whilst talking to new people, all at a tiny restaurant on the side of a road. Yatai are the outdoor food stalls that line Fukuoka’s streets, serving delicious food night after night before disappearing during the day time. Yatai is the name given to street-side food stalls in Fukuoka. These stalls are no bigger than a few meters long but churn out delicious food evening after evening, before packing up and disappearing during the day time. Most have just one or two chefs cooking on one side, with a bar that usually has no more than ten seats for customers on the other. 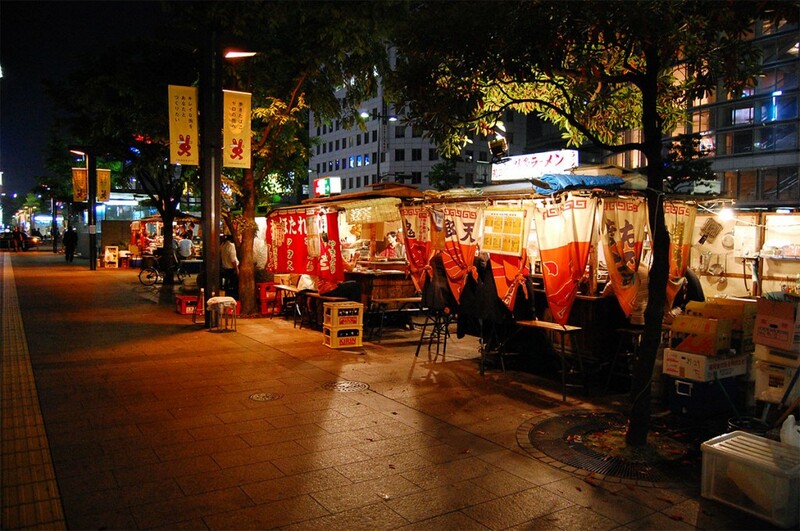 There are approximately 150 Yatai spread out across the city, but most can be found in and around Tenjin and Nakasu. It is because of these Yatai that Fukuoka was recently rated as one of the ten greatest street food cities in Asia by CNN Travel. The last time I went was typical of what you can expect from a good Yatai. I went with three friends and as soon as we sat down the owner/chef instantly asked each of us our names, where we were from and what we were doing in Japan. Having now become best friends with the owner, we were then introduced to all of the other customers at the table whilst we ordered food. This particular Yatai was known for a selection of different dishes, and when we asked the other customers for recommendations, each person had a different suggestion. We ended up with 8 different dishes, all of which were delicious, and we spent more than an hour having a group conversation with all of the other customers, and the owner. 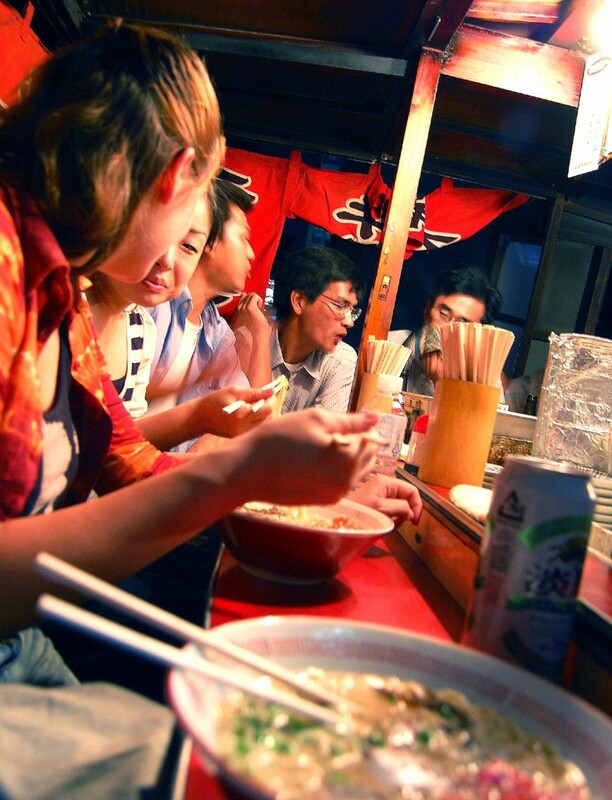 This was a Yatai experience at its very best; eating, drinking and having fun with new people! Yatai don’t serve just one type of food. They are probably most well-known for serving Ramen, but each Yatai will have different specialities and different dishes, and this is part of the charm. Personally, I love Tonkotsu Ramen but when I visit a Yatai, I like to try something new. I want to try the chef’s proud new creation or a recipe passed down from their parents or grandparents. Mami Chan – Named after the owner, Mami Chan’s is famously foreigner friendly, and is ideal for your first Yatai experience. Whilst by no means fluent in English, Mami Chan knows enough to make you feel welcome and is always very friendly and quizzical about her customers. This Yatai has an English menu, and makes delicious food. Her Mabo Tofu and her Roast Pork are both highly recommended. Hanayama – Hanayama is run by Shima san, a good looking man with cauliflower ears, who knows his way around a wok. 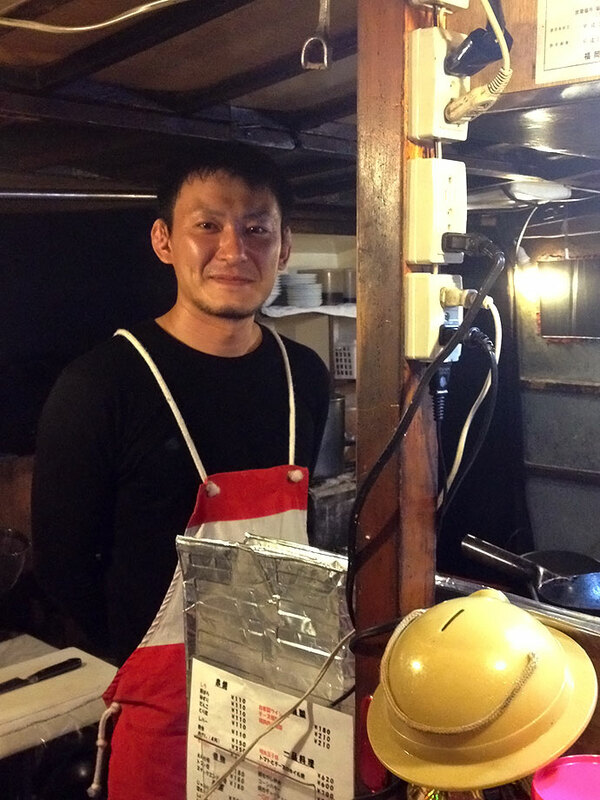 Shima san makes the kind of food you expect of a Yatai; oily, salty yet crazily delicious. His concoctions fill you up and go great with beer. His Tofu Cheese Mentaiko Yaki is superb, as is his Yaki Ramen. 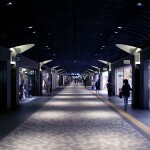 Directions; Also on Showa Dori, next to Lawson’s Convenience Store. 天神二丁目, 2 Chome-13-17 Tenjin, Chuo Ward, Fukuoka, Fukuoka Prefecture 810-0001. 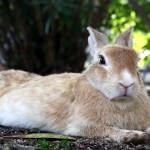 So the next time you’re in Fukuoka drop by a Yatai and sit down; you never know what you might end up eating, or who you might end up talking to. 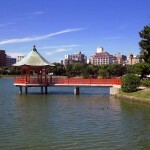 I have been staying in Fukuoka for 2+ years, Yatai, nice to see but not a smart dinning place. I knew the standard food prices for most of the foods, and you will probably paying 1.5 to 2 times higher than having in the restaurant, in addition to what mentioned by Sydney below. looks like such an interesting place! i want to to try out all the food stalls there. I want to polish up my Japanese so I can chat with the locals while eating in these Yatai stalls! Fantastic! There is nothing better and more local-feeling than yatai. The stroke around Canal City along the river might be a little bit too typical and crowded though. Anywhere is nice! My favourite was one near Meiji-doori street where they had wonderful wonderful yaki ramen.